Das Konzert von Troum ist ein Kooperationsprojekt zwischen der workstation/p.m.k und dem 2. Psychoneuroimmunologie-Kongress Innsbruck, der zwischen dem 14. und 16. September 2018 im Congress Innsbruck stattfindet. Der 2. PNI-Kongress widmet sich diesmal dem „Unsichtbaren hinter dem Sichtbaren“ als Weg zu einer neuen Medizin. Dabei soll auch der Zusammenhang zwischen Kunst und Wissenschaft thematisiert werden. Stefan Knappe wird dort zunächst zum Thema „Klang und Sound als basale Erfahrungsdimensionen des Unbewussten“ vortragen und dann in den dunklen Gewölben der p.m.k gemeinsam mit Martin Gitschel als TROUM den Hörer in eine Soundlandschaft geleiten, von der man vermuten kann, dass sie prototypisch für jenen Zustand anzusehen ist, den der Fetus im Mutterleib erlebt. „Ein fließendes Dasein inmitten von Bewegung, Geräuschen und vokalen Tönen in einer Welt ohne klare Grenzen. In diesem ›Klangkörper‹ – so können wir uns vorstellen – befindet sich die noch unreife Psyche (mind) des Fetus mehr in einem Zustand des Teilhabens als des Wahrnehmens.« (Stefan Knappe, Troum). TROUM is a duo located in Bremen, Germany, established in early 1997. The two members "Glit(s)cH" and "Baraka[H]" were active before in the influential post industrial group MAEROR TRI (from 1988 to 1996). TROUM is the old German word for "DREAM". The dream seen as a central manifestation of the UNconscious symbolizes the aim of TROUM to lead the listener into a hypnotizing dream-state of mind, a pre-verbal and primal consciousness sphere. TROUM uses music as the direct path to the Unconscious, pointing to the archaic "essence" of the humans inner psyche. TROUM tries to create music that works like a direct transformation of unconscious 'matter'. TROUMs compositions are influenced by post-industrial, dark ambient and minimal /drone-music. Both members use guitar, bass, voice, accordion, balalaika, flutes, pipes, mouth-organ, melodica, gongs, field recordings, loops, pre-recorded-tapes and a diversity of sound-objects to build a kind of multi-layered and highly atmospheric dreaming-muzak. 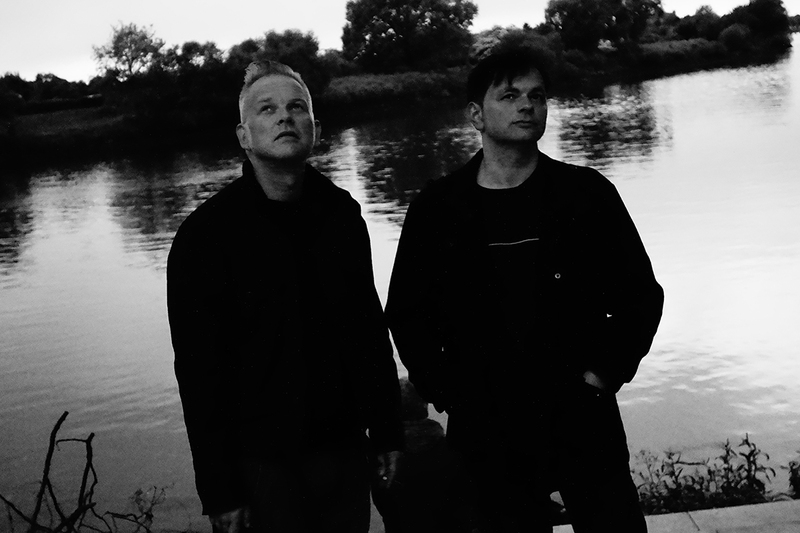 Their sound could be described as “dark atmospheric ambient industrial”, "transcendental drone" or just “Tiefenmusik”. TROUM doesn't work with synths, samplers or computer-soundsources, the sounds are mainly created "by hand" to reach a broader sensibility. TROUM uses a spiral as their logo, expressing the trance-inducing potential of the music and the wish to reach inner, deeper spheres of the mind with it. Music seen as a door to unknown & alien dimensions with pre-verbal and pre-symbolic origins. Music as an expression of the mystery of existence itself: A tool for the eternal psychic renascence.